I greet you all in the Precious name of our Lord and Savior, Jesus Christ. I would like to thank you all for your prayers, supports and advocacy for people of South Sudan. 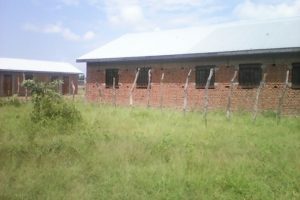 St. Mary Girls School opened last year and enrolled many young girls and because of conflict and humanitarians situation in South Sudan forcing many public and privates school to close as were unable face the situation hence many children were left without schools to go to. This mean that the number of schools was less compare with the number of pupils, functioning schools couldn’t accommodate them all. Therefore, the church administration was forced to have this school mixed school with boys and girls so that at least we accommodate these children. Currently, the school has 150 girls and 250 boys totaling to 400 pupils. Currently conflict has really significant hindrances to pupil’s desire for learning; many of parents are not able to pay for their children’s school fee as a result of conflict causing grave poverty. Thanks God St. Mary Girls School is still opened! Therefore, I appeal to my Christian brothers and sisters to support us so that we are able to feed these pupils to enhance their education just to get one meal a day, some of these children don’t get meals from their homes as they don’t have food at home. I’m also, involved in peace building training our people for forgive, healing, reconciliation and accept one another, so that peace is returned to our bleeding nation. We have many people displaced by conflicts; hence the Diocese of Aweil is involved in healing and reconciliation ministry. Therefore, we also appeal to any willing partner to support this peace and reconciliation programme and St. Mary Girls School. As always, we thank God for your partners. God bless you all and your ministries. Rev. 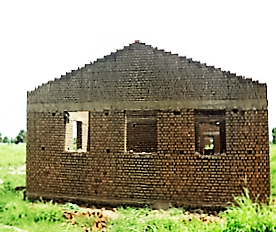 Abraham Nhial, Program Director of St. Mary Girl’s School, is working to complete the building of the first secondary school for girls in Aweil. This will be the first secondary school for girls in the region. Under Nhail’s supervision, he hopes the school will provide education for girls regardless of tribal or religious background. Sudan Sunrise was able to help complete the building of the roof of the girls school, and has received generous donations to continue the building of this extremely pertinent project. Abraham Nhial immigrated to the U.S. as a “Lost Boy of Sudan” and is working to complete the building of the first secondary school for girls in Aweil, a city with a population of one million. Geographically and politically, Northern Bhar el Ghazel State is the largest state in South Sudan and is inhabited by diverse ethnic communities including returning refugees, Darfurians and Messirya from the North. Strategically, this project targets girls from different communities in order to provide them with access to higher education so they will be able to avoid poverty, resolve conflict, and ultimately, promote peaceful living among their communities. The opportunity for girls to receive education is not always supported by the culture or economics of their local communities. Specifically, girls are often kept from attending school, and are seen as sources of wealth for their families through the dowry they will bring once married. In fact, an educated girl may receive a lower dowry, and the less education they have, the more likely they are to marry at a young age and work low paying jobs. The St. Mary’s Girls School in Aweil is needed as there are no other secondary schools for girls in the region. A major component of the school project will focus on changing cultural attitudes. Specifically, that females should not be regarded as property and that their communities should recognize that education women will positively contribute to development of the community and South Sudan as a whole. See the full project writeup for St. Mary Girl’s School.